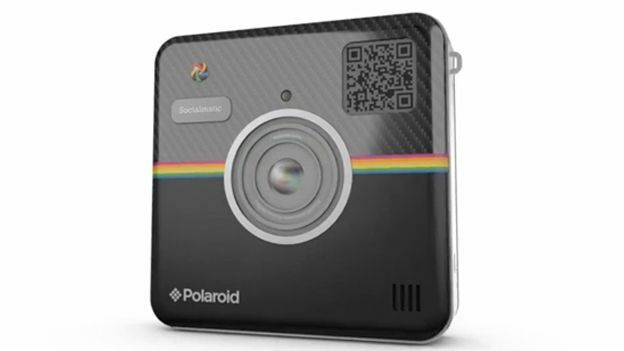 Polaroid has confirmed that its Socialmatic instant camera will finally be getting a release date of Autumn 2014. The Android-powered camera will arrive with WiFi letting you upload your snaps straight to social media sites. Of course it wouldn't be a true Polaroid unless you could print off instant snaps and the Socialmatic isn't about the change things with instant printing built in courtesy of Zink. Once you've printed your 2"x3" snaps you can then take the digital copies and upload them via any of the apps on Google Play all through the camera's 4.5-inch touchscreen display on the back. Taking care of the images themselves is a 14MP front-facing sensor whilst on the back you'll find a 2MP rear-facing camera for quick 'selfies' and any video calls via WiFi. There's sadly no word on exactly when the Socialmatic will be arriving or indeed price but Polaroid has set a definite window of Autumn 2014.